Home > Photos > Google: Still Feeling Lucky? 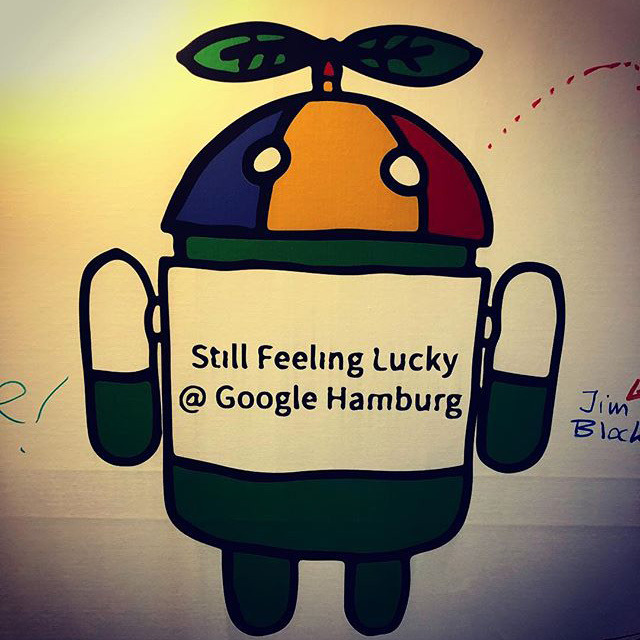 Here is a picture of a drawing or something at the Google Hamburg office of an Android figurine in a Noogler hat. But what it is written on it is "still feeling lucky." It is a play off the "I'm feeling lucky" button on the Google home page for search. But why use the word "still" - should they simply not feel lucky? The photo was posted on Instagram.